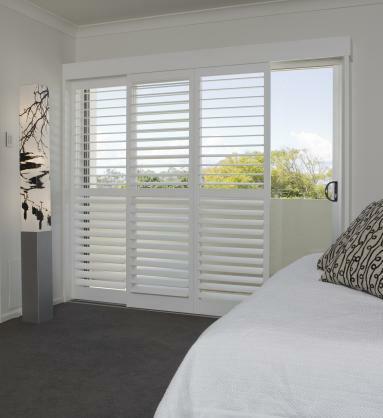 Add instant architecture to your room and give your sliding glass doors classic style with plantation shutters. Louvered panels will cover your glass door and slide back and forth on a track. The louvers can be tilted for adjustable light and privacy control. This look is beautiful and functional, and more affordable than you think. 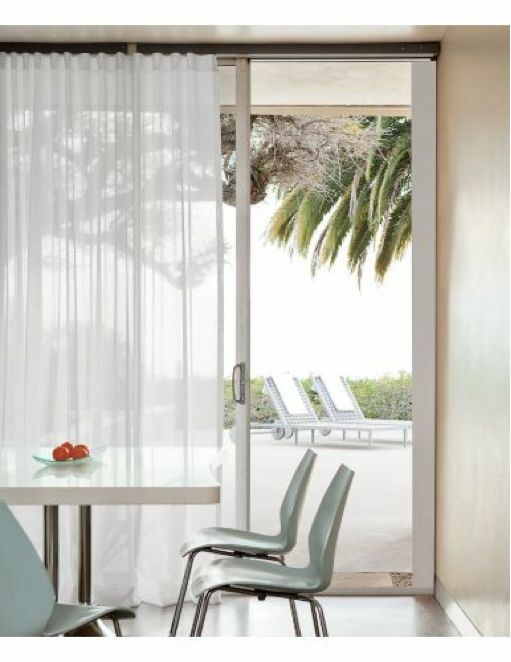 Always classic, sheer drapery panels add an “easy/breezy” elegance to your sliding glass doors. 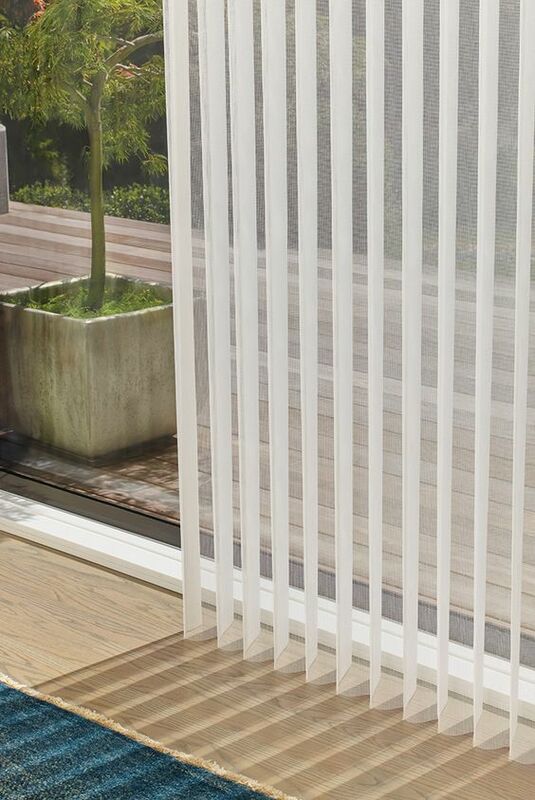 They filter sunlight and add sheer privacy to your space. Sheer panels can be partnered with vertical louvers (Hunter Douglas Luminettes) to offer additional privacy and light filtering. This is a beautiful option for a clean, polished, and sophisticated look. 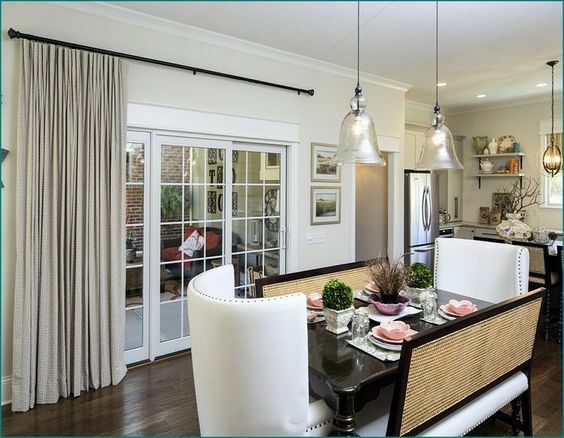 Timeless and elegant, drapery panels are always a popular option for covering sliding glass doors. Whether you choose a neutral fabric or want to add a punch of color, drapery panels never go out of style. They are like the jewelry you add to complete your outfit—they add the finishing detail to your room. Growing in popularity, today’s solar shades are loved for their simplicity and sleek functionality. 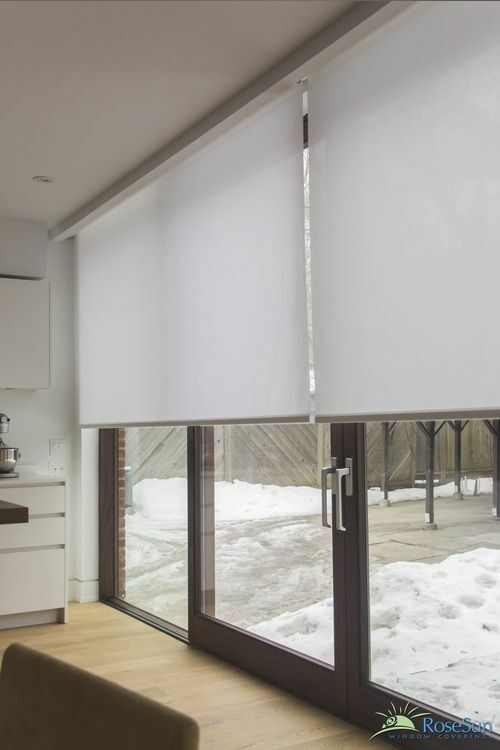 Motorized shades have added appeal due to their easy operation at the push of a button. 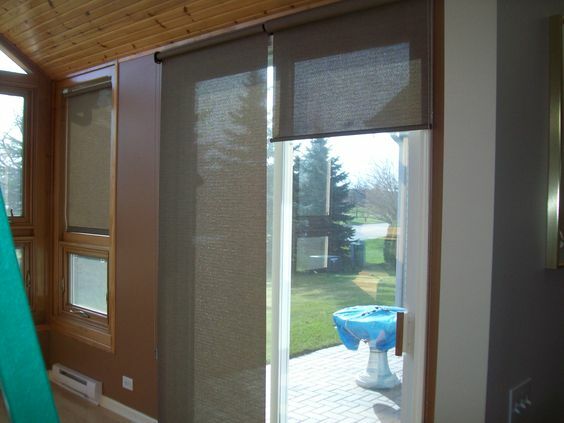 Whether filtering sunlight or blackout, solar shades are well suited for sliding glass doors. Let us help you beautify your sliding glass doors!